The Lightning won the first three games of their second round series against the Canadiens, but have lost the last two. 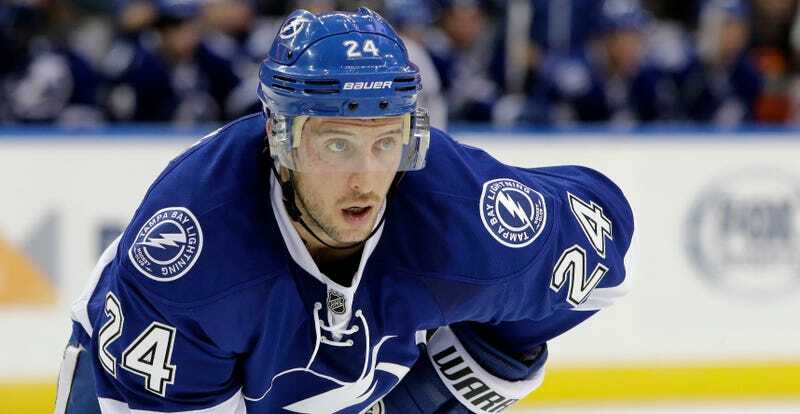 Game 6 is at home tomorrow, and assuming Callahan doesn’t have a miraculous recovery, he won’t be available to play. While Callahan has only scored three points in the playoffs so far, he was one of the Lightning’s more important offensive players during the season, scoring 54 points. Contact the author at kevin.draper@deadspin.com. Photo via AP.